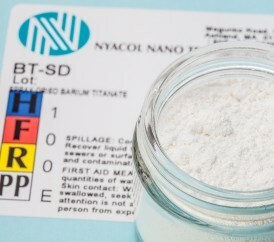 NYACOL® barium titanate is offered as a colloidal dispersion in water and Isopar L, and as a spray dried powder. 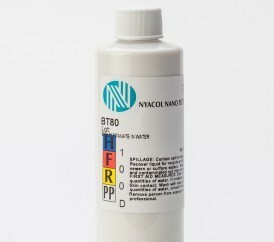 The product is produced in a hydrothermal process and the Ba/Ti ratio is adjustable. 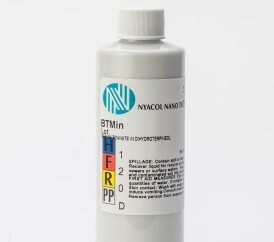 For use as an additive for manufacturing multilayer ceramic capacitors. Sintering control additive for base metal electrodes in MLCC.